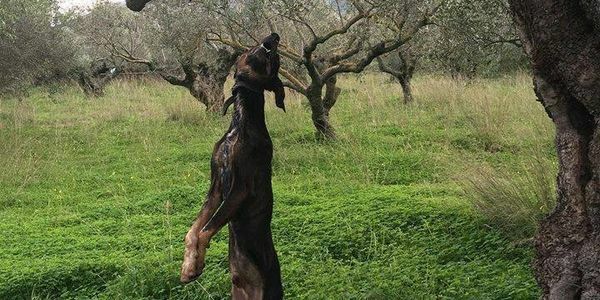 petition: Get justice for this dog on Crete, hung from a tree! Get justice for this dog on Crete, hung from a tree! A person hung this dog from a tree on the island of Crete, likely the owner. It was found by children who were only 6 and 8 years old while it twisted, hanging down by its neck. This is, unfortunately, considered a "way" of disposing of unwanted/no longer useful dogs on Crete. This is a horrible display of despicable animal cruelty, and it was horrible for the children, too. Please sign to encourage the local authorities in Greece, to find the person responsible and hold them accountable, and demand dogs and cats are neutered out there. This petition will be presented to the local Mayor, to ensure they hear our message loud and clear. Please sign and share to make sure our voices are heard! I will be sending this petition on soon. Can you continue sharing for a day or so, please? Thanks to all for signing.